In February 2014 Lincolnshire county councillors voted themselves a pay rise. 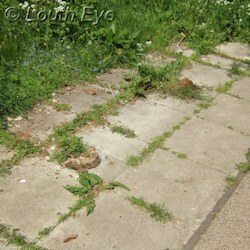 This rise left a bitter taste in many people's mouths, and it was opposed by Labour councillors. Now, the Labour group have decided to do something with the extra money they were granted. The Labour Group on Lincolnshire County Council is in the process of setting up a new fund, �Labour Action for Lincolnshire�. The fund aims "to address problems faced by people in Lincolnshire because of the failures of the Tory led County Council and the Tory led Government", according to the group's press release. The press release cites the "failure of the County Council to support public services properly in Lincolnshire, demonstrated by its failure to spend �40 million pounds last year at the same time cutting services and making people redundant" as reasons for this action. Restoration of the Horse Steps and Aswell Hole has continued over the spring, and appears to be nearing completion. To celebrate, the Gatherums and Springside Regeneration Group have announced a series of events this summer. On 28th May people will be invited to follow in the footsteps of the wool walkers from 1pm to 3pm. On 14th June at 11am to 1pm, there's an event to plot out the paths of the old back-to-back houses that used to be in the Gatherums, using willow and wool. On 28th June from 11am to 1pm you can map the water courses and spin your own wool. And on Sunday, 13th July from 11am to 2pm it will be the official opening of the Horse Steps and Aswell Hole, with a series of family activities. I've been peeking at the progress of this restoration every time I walk through Aswell Street, and it looks set to be very smart when it's finished. 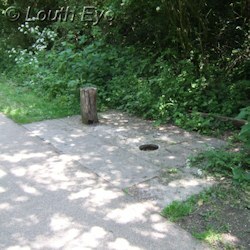 When I was walking down the Railway Walk on Monday, I noticed some of the fittings are at the end of their life. There were three benches, but as you can see in the pictures above they have either rotted away or are at the end of their life. There are also no bins along the middle of the pathway. 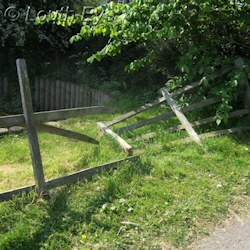 The broken fence is on the southern side of the Wood Lane crossing. It's a shame that things are in that state, when this tree-lined route is one of the most pleasant places to walk on a hot day. 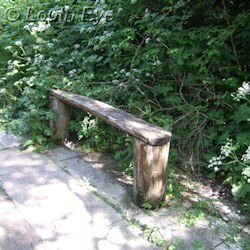 I don't think it would take a lot of money to restore its benches and bins. 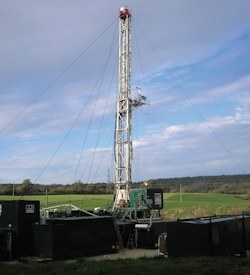 Egdon Resources have made another application to drill near Biscathorpe. This time it's not for an exploratory well to see whether the site is suitable for fracking, instead tt's for a more conventional oil well. In September 2013 Egdon announced plans for a temporary well site and an exploratory borehole at Biscathorpe. Those plans were later withdrawn. Egdon will be inviting local residents to have their say about their plans at a public exhibition on Wednesday, 21st May, from 1.30pm to 7.30pm at Donington on Bain Village Hall, Main Road, Donington on Bain, LN11 9TJ. The new site will be on farmland to the west of Biscathorpe, about nine kilometres west of Louth. Egdon is currently preparing a planning application for the proposed site, which falls within the local planning authority of Lincolnshire County Council. This will involve conventional drilling for oil and will not � either now or in the future � involve the process of hydraulic �fracking� for shale gas. This part of Lincolnshire does not have the specific rock-formation types that contain shale gas. 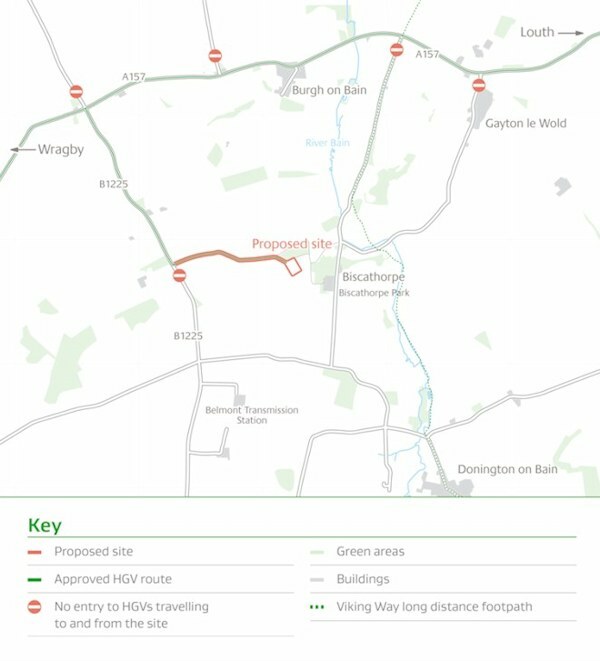 The new location replaces a previous site to the east of Biscathorpe for which the company withdrew a temporary planning application last year after listening to feedback from local people. Egdon Resources� managing director, Mark Abbott says: �We look forward to welcoming local people to this public exhibition to view our proposal and find out why we consider this site in particular to be suitable for conventional oil drilling. Exploring for potential onshore reservoirs of oil like Biscathorpe are important, as they will in a small way help contribute to the security of national energy supplies. �The new site has been carefully selected to minimise impacts on our neighbours and the environment, whilst being technically feasible to drill between the surface location and the sub surface target area. The site location is screened to the north and east by woodland and therefore will be less visually intrusive. �This event is an important part of our pre-application consultation and we look forward to discussing our plans with the local community�. That's heartening, if it's true. But what I can't figure out is how Egdon know the area is unsuitable for shale extraction if they never got around to building their other exploratory well to learn more about the geology of the area. Perhaps the area is simply politically unsuitable for shale extraction? And finally, news of a literary success. 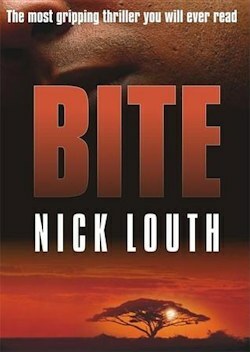 Local author Nick Louth has hit the Kindle bestseller lists on Amazon. 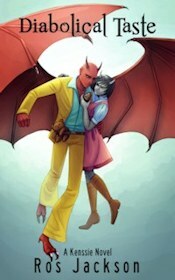 Bite was first published in paperback in 2007. 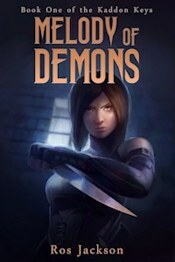 The thriller tells the story of a scientist working to cure a deadly tropical disease, who disappears just before she can announce her revolutionary discovery to the world. 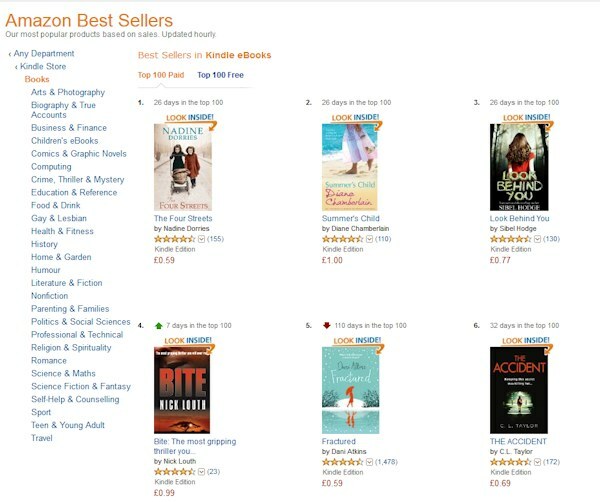 The novel reached number four on Amazon UK's Best Sellers in Kindle eBooks list for paid books (which is different from the overall bestseller lists in books, but still very significant). "I'm on cloud nine," Nick Louth told me on Saturday.